Please note, many Odeon issues also carry an EMI logo. This is not a label and EMI should not be added as a label, it instead indicates that Odeon was part of the EMI Group. For unofficial releases which use the Odeon-logo and/or claim to be an Odeon-release please use this label: Odeon (2) ! Odeon started out as a label of the International Talking Machine Co. m.b.H. in 1903. 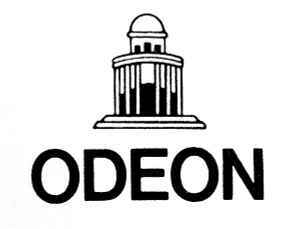 It is named after a famous theatre in Paris, whose classical dome appears on the Odeon logo. In 1911 the label became owned by Carl Lindström A.-G. which also owned Beka, Parlophone and Fonotipia. Gradually the label expanded to many countries. In 1926 ownership moved to the Columbia Graphophone Company Ltd. which merged to form Electric & Musical Industries Ltd. (EMI) in 1931. In 1936 the director of the Odeon branch was forced to retire and replaced by Dr Kepler, a Nazi party member. In 1939 Odeon and Electrola were placed under a Nazi-appointed administrator. When the Soviet army occupied Berlin in 1945 it destroyed most of the Odeon factory. After 1945 Odeon continued to be used as a label for "EMI" pressings made for West Africa, Argentina, India, Brazil, France and elsewhere. The label was written as Odéon on some French releases. In 1965 the rights to the trademark (label) were reassigned to The Gramophone Co. Ltd., subsequently further reassigned to renamed company EMI Records Ltd. in 1973. On the 27th April 2004 the rights to the imprint were transferred from EMI Records Ltd. to sister company EMI (IP) Ltd., an intellectual property holding company for ultimate parent EMI Group Plc, with EMI Records Ltd. becoming the licensee. As of 2017 EMI (IP) Ltd. which is controlled (owned) by EMI Group Ltd. (formerly known as EMI Group Plc.) is still the immediate registered owner of the trademark, with the imprint being used by affiliated companies which form part of the Universal Music Group.